As a missionary, going out to a restaurant to eat is a supreme luxury, usually only reserved for birthdays or visiting guests. Several years ago, the options in Kiev were very limited. One of my favorites back then was Tequila House. In a small corner of the oldest neighborhood of Kiev (my favorite neighborhood), this little establishment was the place we went to celebrate. I don't go to Tequila House much lately. I don't live in Kiev anymore, and when I'm there we usually choose other restaurant options. But I still definitely enjoy a chimichanga, given the opportunity. So I have discovered this recipe, a baked version (I really really really don't like to fry things), which is super easy to prepare (crockpot anyone?) and ends up with a crispy tortilla on the outside and flavorful chicken filling inside. Make the filling ahead of time if you want, serve hot with your favorite toppings. 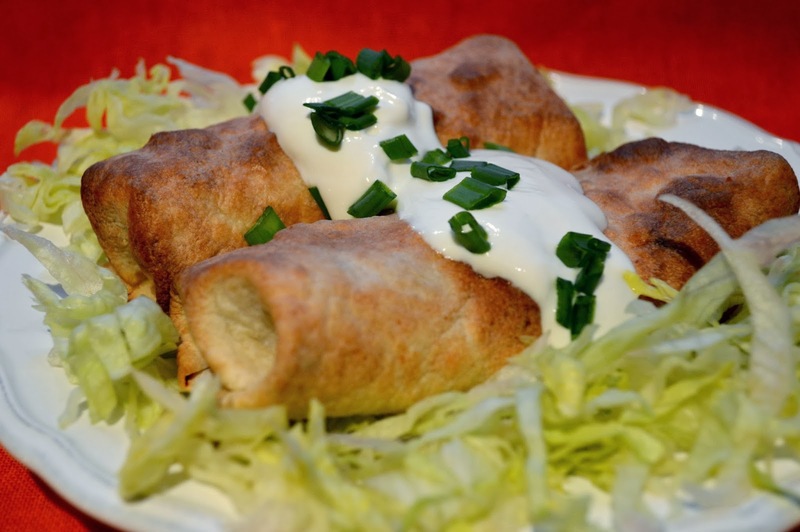 This is not to say my recipe is a substitute for Macho Chimichangas at Tequila House. If you're ever in Kiev, give them a try. But these are a lovely, easy, delicious replacement. 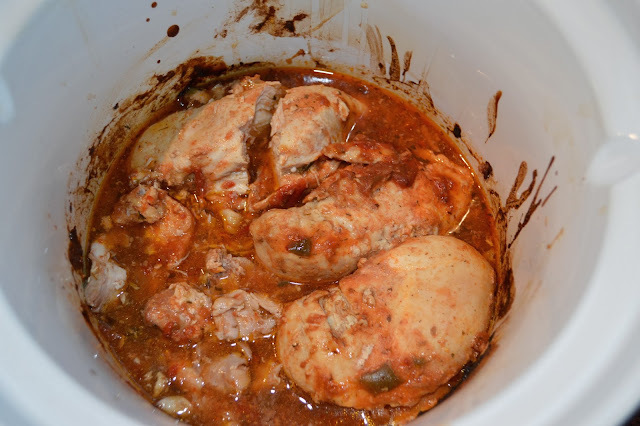 Pull out your handy-dandy crockpot. 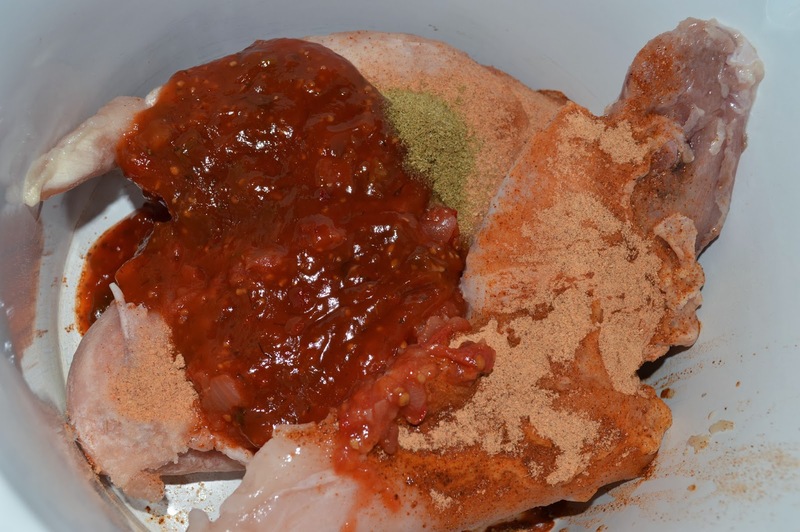 Throw in some chicken breasts (frozen is fine, raw is good too), salsa, taco seasoning and a little cumin. Cook on high for 4-5 hours. Don't drain the juice. 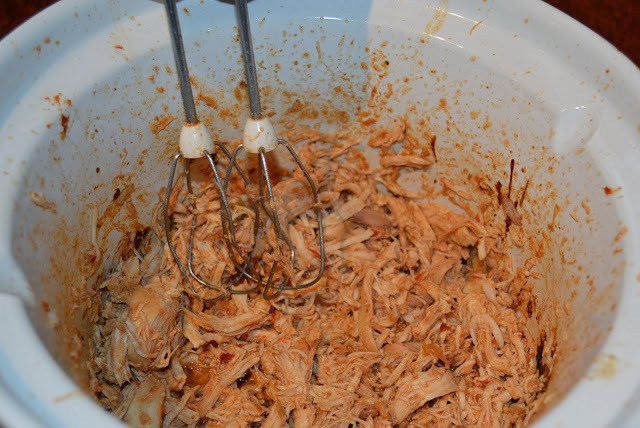 Super-cool tip on shredding meat: USE YOUR MIXER. Sounds wacky, I know. But it works perfectly, takes about 2.5 seconds and your hands don't get all cramped and achy as with the two-fork method. Just watch the splatter. There's your filling. You can make your chimis immediately, or you can put this in the fridge and make them later. Now when you are ready to make your chimichangas, turn the oven on to 400F (200C). While that's heating up, butter your tortillas. You can use real butter or whatever kind of fake-margerine stuff you have on hand, like I used here. Now place your tortilla on a parchment- or foil- lined baking sheet BUTTER SIDE DOWN. Put about 2/3 cup of filling into the tortilla, and roll up burrito-style. The butter ends up on the outside of the chimichanga. Throw that into the oven, bake about 15-20 minutes until golden brown. Optional: shredded lettuce, sour cream, shredded cheese, sliced black olives, guacamole, etc. Place chicken, salsa, cumin and taco seasoning in slow cooker for 4-5 hours on high. When cooked through, shred the chicken (don't drain the juices). 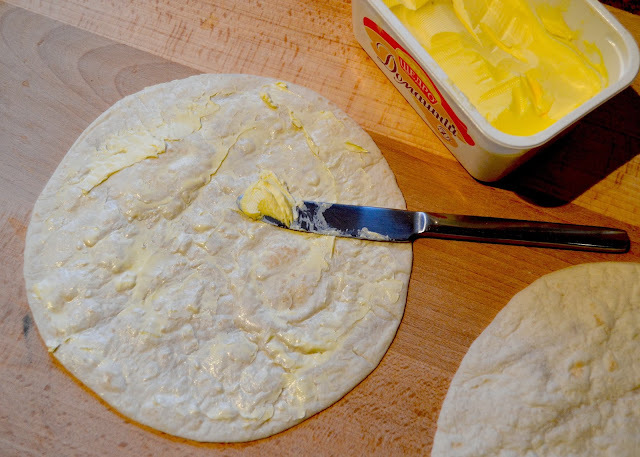 Butter each tortilla on one side. 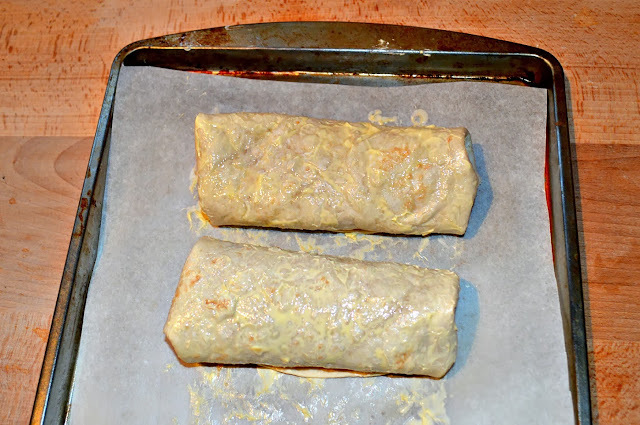 On a parchment or foil lined baking sheet, place a tortilla butter-side-down, and top with about 2/3 cup of chicken filling (amount will vary based on size of tortillas). Repeat with remaining tortillas and filling. 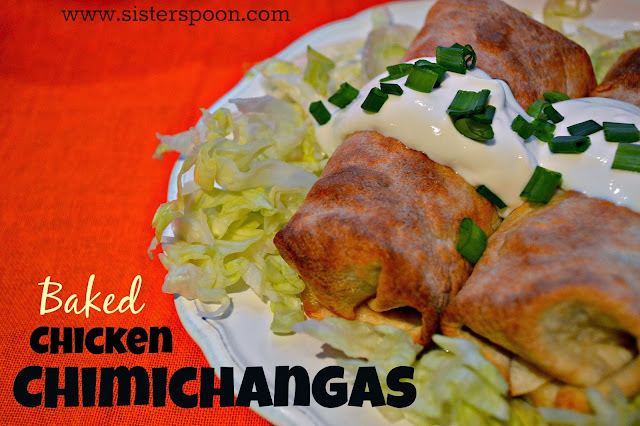 Roll up the chimichangas, tucking in the sides.